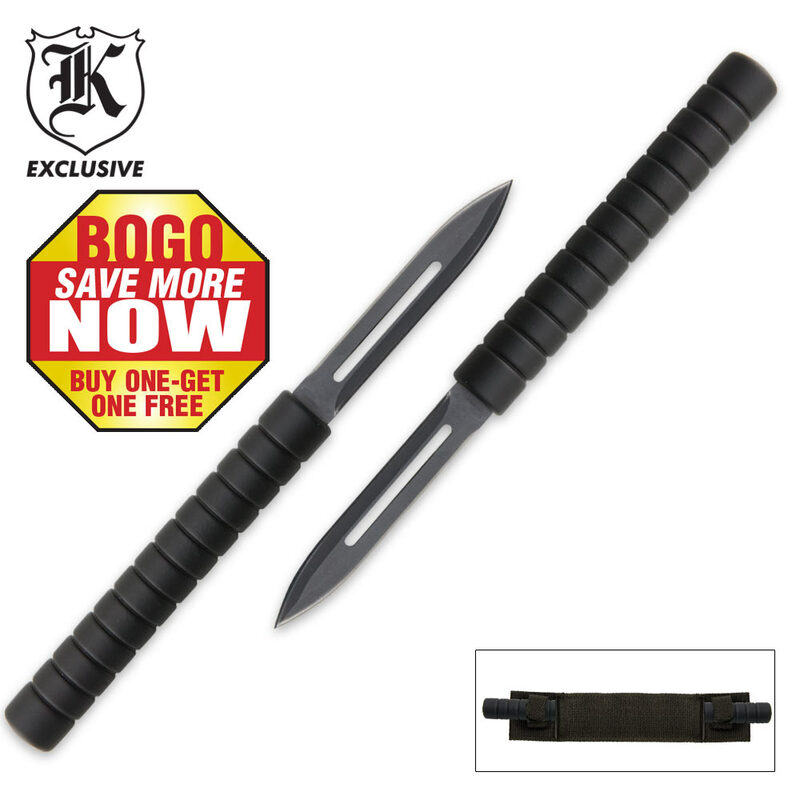 Our Double Trouble two-blade kubaton set provides you with discreet but effective personal protection you can count on. Two slim-profile black stainless steel blades are housed together into a compact 6-1/4" defense package. The textured handles provide a secure grip. We've included a combo belt sheath to house the set. Very well made. Blades are sharp and seem to be durable. My only complaint is that its not as concealable as I was hoping. When strapped on my belt the handles hang out past my hip bones so unless you're wearing a jacket or a heavy sweater it will be obvious that you have something strapped to your belt.